I realise most current-gen gaming writing on here are for retro-themed games, but I had to break the rule. Valkyria Chronicles is such a good game it deserves it. Why am I posting this now? After all, the game came out three years ago, but since I’m a bit slow, I’ve only just gotten around to finishing it, and while I know I get carried away with hyperbole at times, I want to mark it up as one of the greatest, if not *the* greatest, gaming experience of this generation. So, what else? The scenario’s an alternative-universe Europe during WW2, with all sorts of tips of the hat to actual history, and plenty of silliness to expand it further into the realms of atypically Japanese storytelling. Some found the fantastical nature of some of it rage-inducing, but I found it charming. But I like my anime, so that explains my weakness in this regard. The character interaction was strong, even though it could probably be criticised for playing to stereotypes. Much of the game reminds me in spirit of the Sakura Taisen games, which I adored on the Saturn and Dreamcast, so I think this also adds to my love of the game. 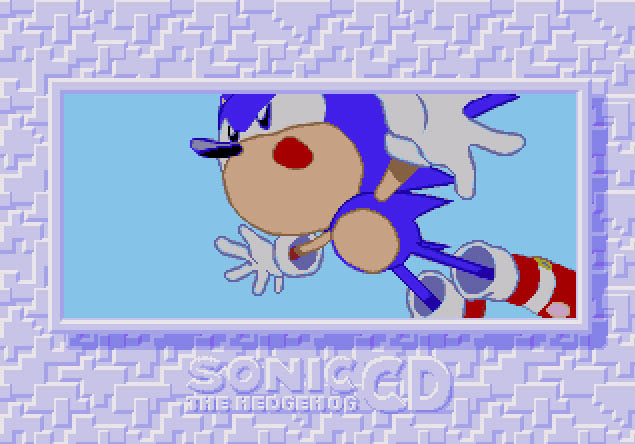 There’s also the handy option to play the game with the original Japanese dubbing, which was a welcomed and crowd-pleasing choice, even though the dubbing was actually really good for the game. In itself, such good localisation of the voicework is unusual given it’s a Sega title, but I’m probably still stuck in the 32-bit era where there were some dreadful dubs, and the DC wasn’t much better to be honest (thankfully, Skies of Arcadia didn’t have too many spoken lines!). But beyond all these is the atmosphere of the game. I’ve waxed lyrical on this intangible feeling a game can have on the player in other places – I had the same feeling playing Mirror’s Edge and it’s EU-centric vibe reminiscent of EU development in the early 90s. 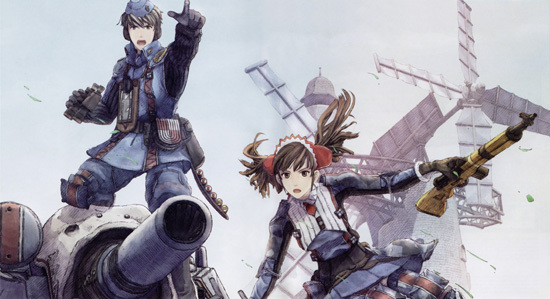 Valkyria Chronicles stirs the kind of empathy and vibe I haven’t felt in a while – it was classical old-school Sega, with dashes of the original Sakura Taisen, Phantasy Star 2 and 4, Panzer Dragoon Saga and Skies of Arcadia. It was also great to see a game using a military subject matter without dipping into vats of testosterone and inserting expletives all over the place. Yes there’s a place for all of that, I’m just saying it was nice that it didn’t feel it needed to go there. As such, it was a pleasant counter-point to the typical Western approach. It would also explain why the game never reached critical mass with its market, as it lacked the “action movie” factor that colours a lot of other successful games. Technologically, the CANVAS engine is, in my irrational mind, the most impressive game engine, visually, of this generation. I’m aware there are some gorgeous and flexible engines out there at the moment, but what they achieved with this one was stunning. The frame-rate very rarely dips, it allows for stunning in-game visuals and cut-scenes, the animation is clean and there’s only the occasional bit of screen-tearing, one of my pet-hates of the current generation of gaming. The game deviated from shades of grey and gave amazingly colourful vistas despite its subject matter, but the engine was flexible enough to go with the shades of grey and dirt-brown when the situation called for it. And critical to a game’s success, the ending brought closure, a feeling of accomplishment and felt incredibly satisfying.